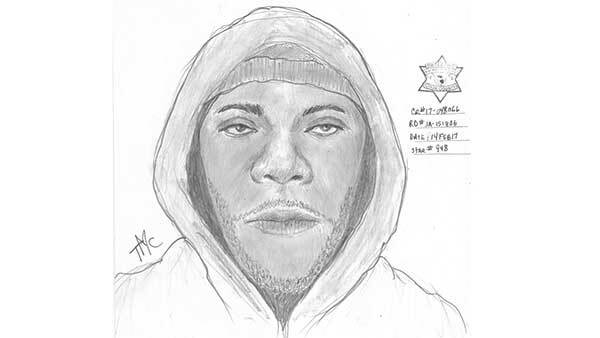 CHICAGO (WLS) -- The Chicago Police Department is urging residents to be aware of their surroundings after a woman was sexually assaulted in the 9800 block of South Emerald on Monday morning. The victim, 22, was walking at about 8:00 a.m. when the offender drove up in a gray four-door Chevrolet and forced her into his car at knifepoint, according to an alert issued by police. Once the victim was inside the vehicle, the offender forced her to submit to various sexual acts. Police describe the offender as a black male between the ages of 23-27 years old, with a light brown complexion, brown eyes, trimmed beard and a slim build. He was wearing a black coat with a black hood with red writing on it, black and gray skull cap and green camouflage pants, according to the alert. Police advise Morgan Park residents to notify their neighbors about the crime, stay in well-lit areas and, if possible, to avoid walking, jogging or biking alone. Anyone with information is requested to call 911 or Area South Detectives at (312) 747-8273 with reference number JA151806.